The Myrtlewood Palmetto Course was designed by legendary golf course architect Edmund B. Ault. The course immediately became a consistent favorite of Grand Strand golfers. This popularity has lasted for nearly two generations. It has earned continuous rankings as one of the top repeat-play courses in Myrtle Beach. This highly popular beach golf course maintains optimal playing conditions throughout the year. It is always ready to offer a challenge to golfers of all skill levels. In addition to the caliber of the course, a convenient central location makes it easy to reach from any part of town. The Myrtlewood Palmetto Golf Course’s traditional design offers accommodating Bermuda fairways that slope gently through old growth pines. 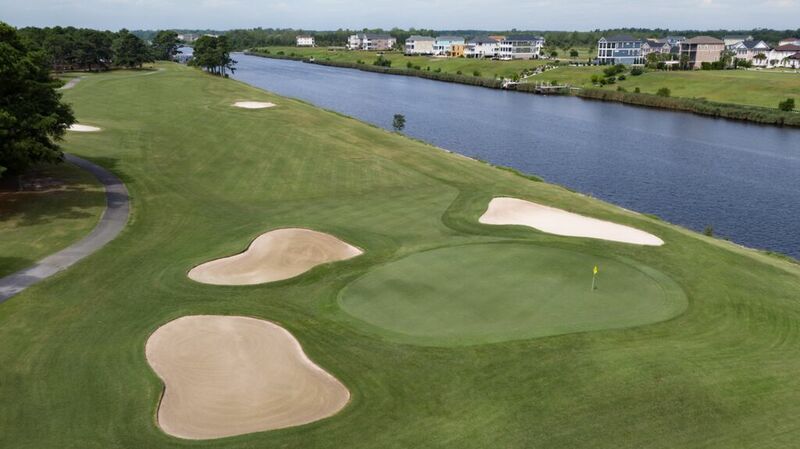 Stretching out along the Intracoastal Waterway, the course serves up a variety of hazards and bunkers to test your shot-making abilities. And finally, at the conclusion of each hole, are large, subtly undulating Tifdwarf Bermuda greens. Palmetto expresses the simple, traditional aesthetic of a classic Ault design. Open fairways offer plenty of legitimate landing areas for your tee shots. However, the par 4s are more challenging than they first appear. The high bunker population around the greens ensures you’ll get in work on your sand game. Throughout your round, you’ll find plenty of solid character and the welcome surprise of a few wild thrills. Overall, having two great courses onsite definitely makes Myrtlewood a great addition to any golf package.